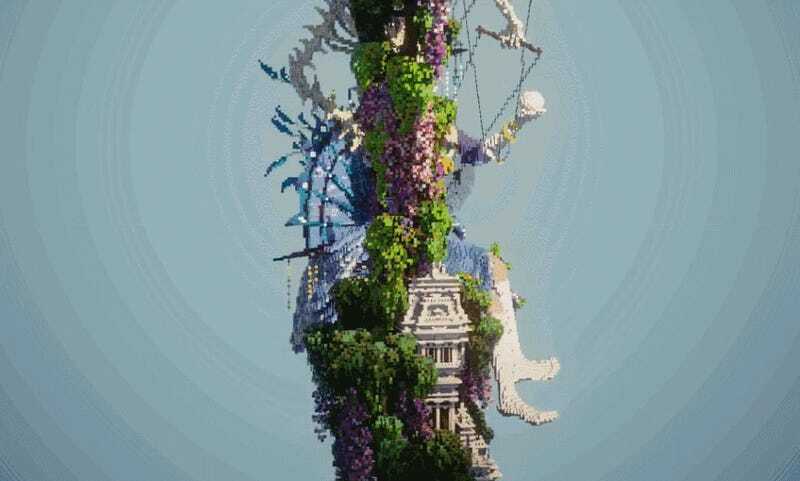 The piece above, called “The Perfect Marionette,” took first place in a recent Minecraft sculpture contest, reminding us that not only are games art, they can also be amazing platforms for creating it. Dr. Bond’s entry took about four days to complete and was based around the idea of human achievement. Rather than try to invoke the theme literally by creating a vast constructed homage to architecture and humanity’s penchant for building, Dr. Bond instead tried to offer up a piece that would serve as a metaphor. It ended up winning the Apex Events 2017 Invitational as a result, but it was by no means alone in showing just how active and passionate the community around Minecraft sculpture continues to be. The runners up, AWAKENING - Null Bomb and A Dream of Future, were pretty amazing looking as well. Both took opposite approaches to the question of development and progress, with the first depicting a futuristic city whose own advancement as created technology that’s also capable of destroying it, while the second looks at humanity’s ancient past. There are a number of other projects that were submitted either for the final Invitational or the previous open contest leading up to it and all of them are worth checking out.